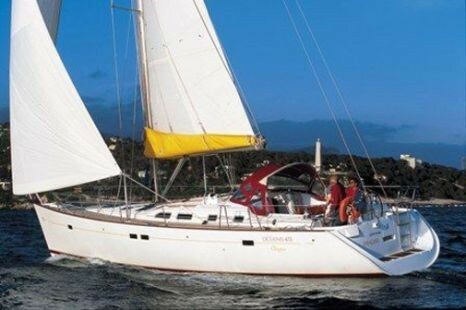 A boat for your boating holiday: sailing yacht Bénéteau Océanis 473 - nice and inexpensive.Ahoi-Charter, your internet agency for boat rentals and yacht charter, can arrange a sailing yacht, motor yacht, catamaran or houseboat in many water areas of the world for you. E.g. this beautiful boat: sailing yacht, model Bénéteau Océanis 473. You can drive it in following areas: Adriatic Sea, Dalmatia, countries: Croatia. Do you like this boat? Send you a request for the rentals!